Just as the summer season is wrapping up and I was getting psyched on a new project at Lincoln Lake, catastrophe (or opportunity) struck. I went to Lincoln Lake last Saturday to try Small Arms and after a few tries on the hard second move found that I was very close to sticking it,meaning that the problem might go, maybe even that day. Unfortunately as I was trying the third move, I felt the sharp gaston give just a little. A few more pulls on it showed that the hold was detaching. I called over a few other locals to see what they thought and the consensus was that the loose part of the hold should be broken off. This was very quickly done leaving a much worse edge and a far harder move. While we were there, the last pair of holds was looked at again and the loose part of the left edge was removed as well. This will make the ending move a bit harder but still doable the old way. I was reluctant to modify such a classic problem but for the fact that if the either hold had broken on a climber, a serious fall could have resulted. I am sure the second move goes but the overall grade of the problem has risen from a soft V11 to a likely hard 12 or 13. I know I am not strong enough to do it at this time and will probably stick to other areas for now. Even though I would like to discover the other hard problems there, I have so many undone attempted problems in RMNP, and of course Clear Blue Skies on the other side of Evans, that I will focus my efforts elsewhere for the rest of the season. What method did you use to pull off/break the chossy hold? I pulled hard on the upper hold and, although flexing, I think it would have been a very long time before that hold broke from someone pulling on it with the forces used to do the last move. . . if ever. I can count dozens of problems that have flexing holds that have held up years and years longer than people expected. Seems a bit odd to me to just go around breaking off holds on established problems b/c they were flexing. Plus the fall on that problem would be a 3 foot back slap on flat ground. Big whoop. However, this is speculation b/c I was not there with you when the decision was made to break the holds off. . . the quality could have deteriorated. Just hoping this doesn't start a trend of people breaking flexing holds off of problems around the world. A lot of quality problems would be destroyed. Anon, thanks for the response. I would respectfully disagree with two points. The first is whether the upper hold would have endured much longer. My guess is absolutely not as the move to the top is very violent and exerts a lot of outward thrust on the hold. Regarding the consequence of a fall, readers may be unaware that a 5 foot drop into a talus pit awaits anyone who misses the ledge, a real possibility with an out-of-control fall caused by a breaking hold. Not really "big whoop" in my view. I appreciate and understand your misgivings which is why I summoned a number of LL regulars over to survey the situation and did not act unilaterally. I am a firm believer that, after the FA, holds should only be removed by hand. This means if something is lose enough to remove simply by pulling it off from the ground or while in the act of climbing. The hold that broke off Dreamtime was said to have been suspect for years. I think it is safe to say the climbing community would have been appalled if someone had deemed it worthy of being wedged off with a key at the discretion of a few. It just seems to be a dangerous game to start removing holds on existing climbs. I would never want this action to catch on with the masses. Too many opinions and emotions involved in climbing particular problems to allow personal discretion be the deciding factor in removing holds on existing problems. This leaves one safe option: holds can be removed by hand only. If you are afraid a hold will break on you then don't climb the problem. That's one idea. As I said, I was moving it by hand already. There was no doubt it was coming off. The Dreamtime hold is an interesting case but my view is, if you can use a housekey to pry off a hold, it's coming off in someone's hand pretty soon. Re: personal discretion, as I said, I asked a group of locals about it before acting. While I generally shy away from altering routes, this was a no-brainer. See DG's comments about the problem on 8a. How do you justify your hypocrisy? If you call making a problem harder to climb by removing clearly loose rock, "chipping" you might not be a hypocrite but you are apparently unable to reason logically. Anonymity does that to people I find. Reading the items you quote, esp. 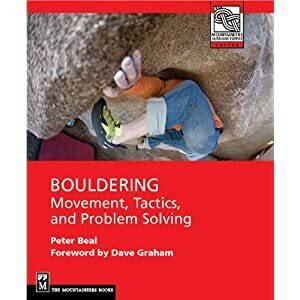 "Generally speaking if you use anything besides your fingers and bodyweight to alter a hold, you are skating on thin ice and should seriously consider your motives." Which I did and consulted others and we all decided the problem should be cleaned up, not to make it easier but to make it solid. Enough justification for you? ! Purposely changing an established climb is chipping. Anybody could go to flagstaff and pop off holds using the methods you described. Any climber wanting to get on this problem could have decided about the quality of the holds instead of having you make it for them. If you thought it was choss, you should have just moved on. You want to give up the names of the other locals who thought it a good idea to destroy a classic boulder problem? I tend to consider definitions of climbing infractions from people who don't give their names a lot like the holds on Small Arms, weak and unreliable. So how about giving your name first? Then I can talk about who agreed with me. BTW for anyone worried that the problem is destroyed, the short answer is that it isn't. You just have to be stronger to do it now. Give it a try and see. At least you won't be popping off key holds when you do.